This was my favorite flower during my “English Garden Tour.” We saw it several times in many gardens, but no one was able to identify it. Can a gardener help me out? I loved the way it kept blooming on a single stem! 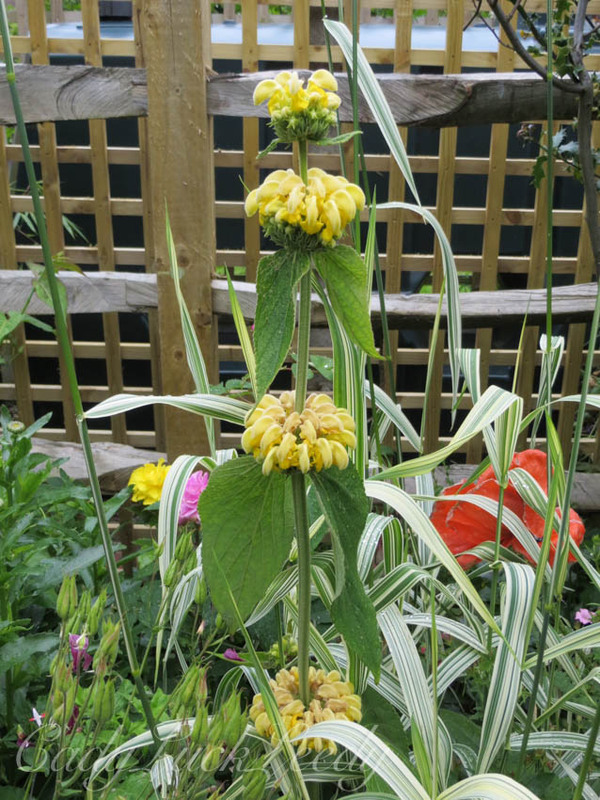 It’s some form of Phlomis. They always catch my eye too! A phlomis? Thanks I’ll look that up!!!! It’s more common name is Jerusalem Sage. Thank you for all your help, one of my Facebook friends from France correctly identified it as phlomus fruticosa aka Jerusalem Sage (one species of) Now to see if I can find it here and plant it in my garden!